I've used Lloyd's for years and I have never had bad service. No pests either. Eddie is polite, knowledgeable, and trustworthy. We have been with Lloyd Pest Control for over 33 years. Greg the technician always doing a good job. Real professional n knows what he doing. Since we started the services, we don’t see no more ants n spider in our house inside n out. Thanks. service makes happy folks here! Everything was sprayed and I haven't seen a rat or ant any place. Thank you for your good service. Excellent service. I needed a termite inspection for escrow. Lloyd Pest Control came out, did the inspection, showed me where the damage was and repaired it the same week. I'm very happy with the repair work. Highly recommend them. Technician is very profesional and helpfull. Excellent service. Very thorough and courteous !!! Great customer service from all those who have been assisting us here at Jefferson House II and The Village Apartment Homes here in Carlsbad. Theresa is our regular tech and she is always willing to answer all my questions. Daniel is great with communication and follow through and Craig is patient, timely and great with our residents. What a great team you have. All of them are not only good at their jobs but have excellent customer service skills that they are generous in their using. Thanks Lloyd Pest Control for all you do for us!! Always prompt and very friendly.They are professional and do a great job. I appreciate the prompt service and like the inspection report. However, I would like a more detailed explanation of this report to better understand the various organisms and treatments. I would actually like to give you guys 4.5 stars, but no option for that above. I have had Baldomero Vasquez service my house in the past and continue to be very pleased with his service! He does a very conscientious job every time. My only comment about Lloyd's is that I wish I didn't have to call every month to schedule a service. Even though I put in on my calendar, I often forget. I would like Lloyd's to just come out once a month on the same date and provide a basic service. I know that I can auto-schedule if I get the quarterly service, however, I would like service every month particularly in the summer months. Is there a program where I can do this without being charged extra? Thank you. Otherwise, I am very happy with Lloyd's. 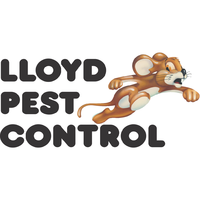 We have been using Lloyd Pest Control since we built/moved into our home in 2005. There has not been an ant sighted in our house, ever. This is the first house I've lived in that is ant free. I highly recommend Lloyd Pest Control. Joe Valverde serviced our property on Monday and we had a nice chat. Joe was friendly, professional and very thorough about explaining the service he provided. We missed seeing our usual technician, Jeremiah, but we were very happy with Joe and his service. Thank you! Can I reduce annal cost by spraying less? I have used Lloyd’s for over “10 years! No ants for “5” plus years. - spray less times, okay? I have always appreciated the time and effort that Lloyd's has provided. They are Number 1 in my book. We were very pleased with the excellent service your technician Hernan provided us. He was very thorough and took his time in treating our termite problem. He explained the procedure and answered all our questions. He did a great job. I have been happy with your service for many years in two different houses. Charles Griffin is an excellent technician and is most considerate of our needs as to pets, etc. I have used Lloyd Pest control since 1998 and they are wonderful. They do their job and help out when other critter issues surface. Reliable and personable. Would highly recommend. Shawn came out to inspect our property for termites. He has a super positive personality and was a delight to work with. Shawn is a real asset to the company. Great service and no more 🐜 🕷 taking up residence inside my home. So happy 😀. Overall good work done. Technician was focused very well on the job. Always helpful, courteous, professional, and knowledgeable. Excellent work and great service every visit. Very happy with your service and your timely response. Service providers are always very polite, informative about services to be performed. We always recommend your company! As usual Gregory did a great job. He is always professional efficient and pleasant - it is so nice to know if there is a serious problem (which has happened in the past) I can rely on Lloyds and Gregory to help me deal with it. I have been a customer for many Years and am so glad that your company and employees have kept up your high standards - Thank you. Dan was quick, efficient and very friendly. He made what could be a not-so-fun experience much more enjoyable. I would highly recommend! Danny Does a wonderful Job! Always on time and friendly! We’ve had other services....Your service is by far the best! We also told some of our neighbors and now they have Danny come! We have been a Lloyd's customer for more than 20 years. Still happy with the service. We have been a customer since the 1980's. We have been happy with your service with Jose for many many years and now Jorge. I have recommended you to friends. I am very happy with the service yesterday. David was great!I hope all subterranean termites will go. David Brugh was our inspector this year. He has been the one that has inspected and treated our house for the past few years. He has always been neat, courteous and thorough - a pleasure to have him in our house. Always glad to find out he is still available when it comes time to have our annual inspection! Taking good care of us! Thank you! He does an excellent job. I haven’t seen ants or bugs in my yard in years. I have used Lloyd Pest Control for many years after they took over my previous service Newlin Pest control. I was a little unsure how they would measure up but I have been very happy with their service and crew. I have not met my newest service person ( just haven't been around when he's been here) but look forward to in the near future. Teresa really knows our properties! Lloyd pest control has been with our household for 24 years. We have been through the good and bad of this long business relationship. We are loyal, and tend to think of the services we use as assisting a family friend, which we treat with respect. The only issue I have at the moment is the quarterly fees, if you know how to run your business you know how to reward your loyal clients.